A new study found that a relatively less known process called abrupt thawing might speed up Arctic permafrost’s expected gradual thawing and then the release of greenhouse gases. Its impact on the climate is an influx of permafrost-derived methane into the atmosphere in the mid-21st century, which is not currently accounted for in climate projections. 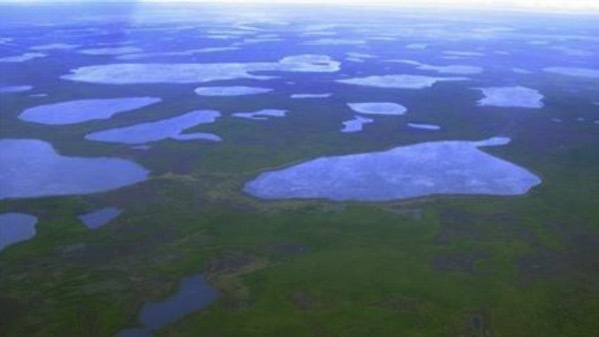 The Arctic landscape stores one of the largest natural reservoirs of organic carbon in the world in its frozen soils. Once thawed, soil microbes in the permafrost can turn that carbon into the greenhouse gases carbon dioxide and methane. American and German researchers found that abrupt thawing more than doubles previous estimates of permafrost-derived greenhouse warming.